Last edited by Walkymad; 26-12-06 at 18:40.
original wheels are there, just had 19's at the time the photos were taken. Looks like a good example. Good luck with the sale. This is a sweet looking example, good luck with the sale. So with that in mind, you can imagine the quality of this walky!!! wont be long before someone buys this one. How many Walkys have you got/had Walkymad?Looks like you could've had your own Walky cruise in NSW lol.This is a nice,clean original car.Good to see you still have the factory rims-so what rims come with the car?Mine came with painted white rims so i sold them.Be interesting to see what this goes for as my old mans has 70000k's on his. Walkymad - In the last photo is that a VN SV LE wagon in the carport? Good eye picking that from the photo. Speaking of that last photo, i'm glad to see that he finally went and saw a plastic surgeon. Last edited by ILLUSIV; 27-12-06 at 23:55. Hi Oma, had 369 as you know. It was sold to the "WALKY GOD" (Illusive), I then purchased 647 and 446. Still own both cars currently (as 647 now has a deposit taken). 446 still available. Forgot to answer your other question- #647 goes with the original walky wheels and correct size tyres. 19's are optional- (extra money as they have only done approx 120 kilometres only). Another one headed to WA!?!?!? Stop stealing the Walkys from over here WA.Just hope its going to a good home as i have seen some Walkys in the past as daily drivers/flogged around. Doubt that would happen these days cause of the price.I think you should be Walky god Chester-sounds like you love collecting them.Craig is only on his first one lol. You would be surprised, i went to bunnings in keysbourgh vic yesterday. There was a genuine walky in the car park. From what i could see it didn't have original steering wheel and had a baby seat in the back. Didn't get a build no. cause i didn't want to go up real close to someones car. Walkymad what are you going to do now with no walky once you sell 446? Any plans for any other muscle cars? If it does come over to WA, it will come to a good home trust me. Yes Chester loves his walkys!! Yes he is, but I'll let him say what it is that he is getting. Should be in a few weeks. Ill Be sure to take some pics for you to drool over craig lol. Craig doesn't need to see pics as he has seen the car sitting right in front of him. I've got plenty of pics from several occasions over the years. Don't know about the build no. but this 1 was manuel looked genuine. hahhaha Yep, I've seen it in the flesh Josh! I took heaps of pics myself!!! Saw it with Corsa when I was in Melb earlier this year. Bloody nice car! 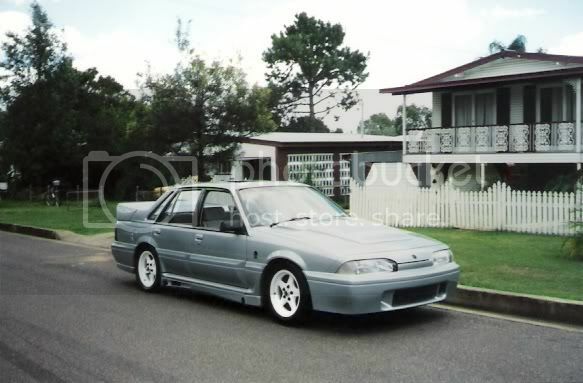 Car: VX GEN 3 MANUAL WAGON, VU SS MANUAL UTE, HR31 TURBO SKYLINE, VL GROUP A WALKINSHAW. Mmm nice wheels, seen them on a walky somewhere before lol.